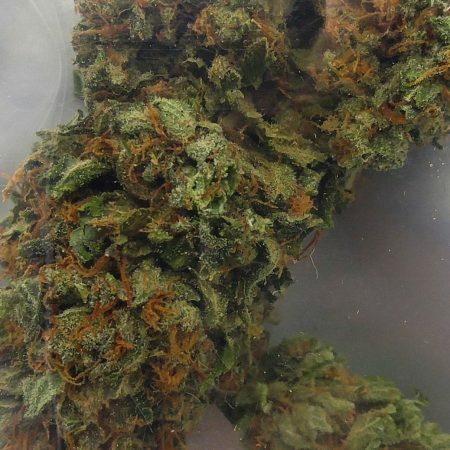 Pineapple Chunk, brought to you by Cannabis King Gardens, is an indica-leaning hybrid that induces heavy full-body effects and a fast-paced head buzz. This THC-rich strain combines a Cheese and Skunk #1 cross with Barney’s Pineapple, and you can almost smell its lineage through sour notes of tangy skunk, earthy cheese, and sweet pineapple. Optimally, Pineapple Chunk will deliver a racing jolt of cerebral energy and powerful stress-relieving properties, as described by consumers.